An utterly game-changing escape for visionary, female entrepreneurs. Four days to step away from the day-to-day and work on game changing tools that'll elevate your brand, enchant your audience and transform the way you do business. An unforgettable and thoroughly inspirational four days in utter heaven, surrounded by like-minded entrepreneurs. Designed to give you the time, space and insights to work on your brand in the most supportive and powerful way possible. Inspirational and informative morning workshops will set us up for the day and give you a comprehensive overview of our focus for the day: Elevate your Brand, Captivate your Clients and Raise your Game. From there, you'll choose to work on what will make the most difference to your unique business right now. Take yourself off into a quiet corner of the verdant garden to focus or hang with friends by the pool while you work on your project for the day. Sink into one of the soft, linen sofas in the cool of the house or retreat to the sanctuary of your room for a total switch-off. The choice is yours. The team will be on hand to guide and support you and ensure you end each day with the satisfaction of a job well done. Short and energising small-group breakout sessions will be offered each day and will be designed in direct response to what you tell us you'd find most beneficial. They'll be spontaneous, exciting and very powerful. 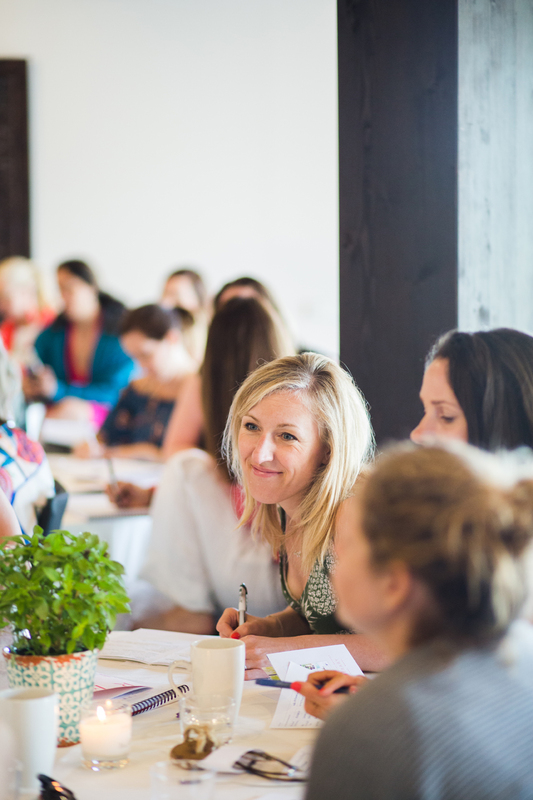 The most glorious setting, a collective of visionary, female entrepreneurs and informative, energising and thought-provoking content packed into each day. Add to that Fiona's energy and enthusiasm, her trademark attention to detail at every level and you have an experience to remember. Events with The Brand Stylist are renowned for being thoroughly inspirational and utterly game-changing. This retreat will be the catalyst for you to gain clarity around your brand, rethink what's possible and elevate your offering in style. The space, time and support to work on the tools that'll enable you to take your brand to the next level, and beyond. Refine your media kit, rethink your proposals or up level your client presentations. Style your brand, develop a new product offering or create a whole new website under the guidance and mentorship of Fiona and Caz. The Brand Stylist Retreat is a truly magical experience. Game-changing content, knowledgable and passionate teachers and a thoroughly inspirational adventure from start to finish. But it's about more than that. It's about making memories, sharing stories and forging friendships with other women working at your level, and that's a truly powerful thing. There are just eighteen places available on this highly sought-after retreat and if you'd like to join us, early booking is recommended. Last year we sold out within 72 hours. A day to recalibrate, take a breath and prepare for an incredible few days ahead. Chill by the pool, soak up the sunshine or take a moment to finally read that book. Meet your fellow classmates, indulge in a treatment or enjoy a glass of bubbles and take a moment to enjoy the fact that you are here. This is the start of something magnificent. Fiona will be poolside from 2pm, should you wish to chat and your rooms will be available to check in to from 3pm. At 7pm it's time to pull out your most fabulous shoes, slip on that gorgeous outfit and prepare to officially meet your fellow retreatees. We'll enjoy a glass or two of local wine, before devouring Cal Reiet's deliciously nourishing and creative vegetarian food. Expect plenty of laughter, sharing of stories and the beginning of something wonderful before you head to bed ready for a full day ahead. A day dedicated to the heart and soul of your business. We begin our day with an optional yoga session followed by a nourishing breakfast. Fiona will run a morning branding session designed to give a jumping off point for elevating your brand, whatever stage your business is at, before you identify your focus for the day. Clarify your offering, find your creative style or build out a mission. 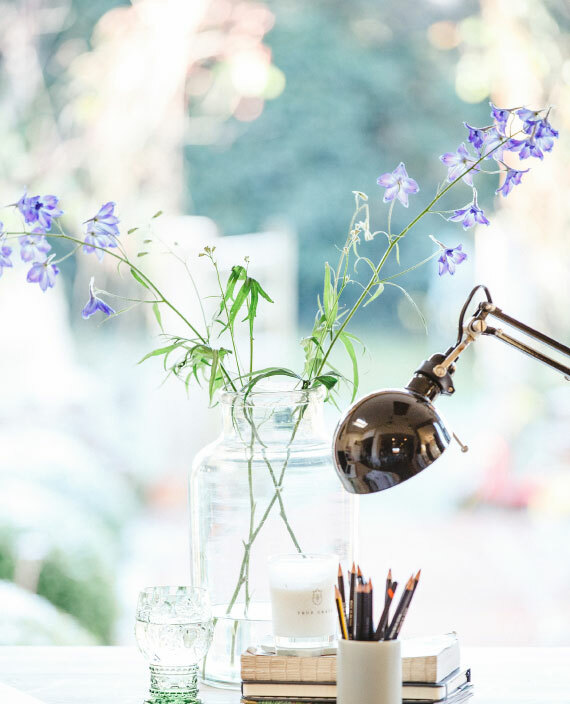 Craft a whole new vision, create a mood board or pull out your laptop and style up your brand. Design a manifesto, refine your logo or tighten up your brand values. It's down to what you need most in the moment. Caz and Fiona will be on hand to offer guidance as well as running a couple of small-group afternoon breakout sessions. Captivate your Clients will give you the tools and know-how to enchant your ideal clients and thoroughly elevate your business. Rewrite your website copy, create a powerful media kit or work on your photography or styling skills. Tighten up your portfolio, work on your storytelling or create a new way of showcasing your brilliance. Wednesday is market day in Santanyi. Renowned for being one of the best on the island, we couldn't let our time together pass by without a visit. Rise early for maximum exploring time. Early evening yoga will stretch your body and calm your mind before we celebrate everything we've achieved together at our final dinner. Morning yoga (optional) will ensure you're ready to get the very most out of our final day together. Raise your Game will empower you to create the tools that will build respect and credibility, do your very best work and create a visceral desire for your unique business. Plan a new welcome kit; rethink the way you present your work to your clients or craft copy that'll streamline your workflow and ensure your clients are delighted at every turn. This is a luxurious, all-inclusive retreat for female entrepreneurs that's been designed to be the spoiling experience you deserve. We've taken care of pretty much everything so you can just focus on getting the most out of our time together. Bliss! Accommodation in Cal Reiet’s gorgeously appointed rooms. Choose from single occupancy or share a room with a classmate. Book with a friend, or if you prefer, we will match you up with a fellow guest. Your meals and drinks for the duration of the retreat. A few glasses of wine with dinner. Enough so you can enjoy yourself, not so many you get bladdered and can’t function the next day! Daily yoga to warm up your body and stretch before our work together. Four incredible days that will utterly elevate your brand time to work on your business in the most stylish setting, guidance from some of the best in business and the confidenceto make it happen. Your flights to Palma airport in Majorca. Palma is an easy flight from many European cities. Those of you travelling from further afield may need to change in London or Barcelona perhaps. Lucky you- two trips for the price of one perhaps! 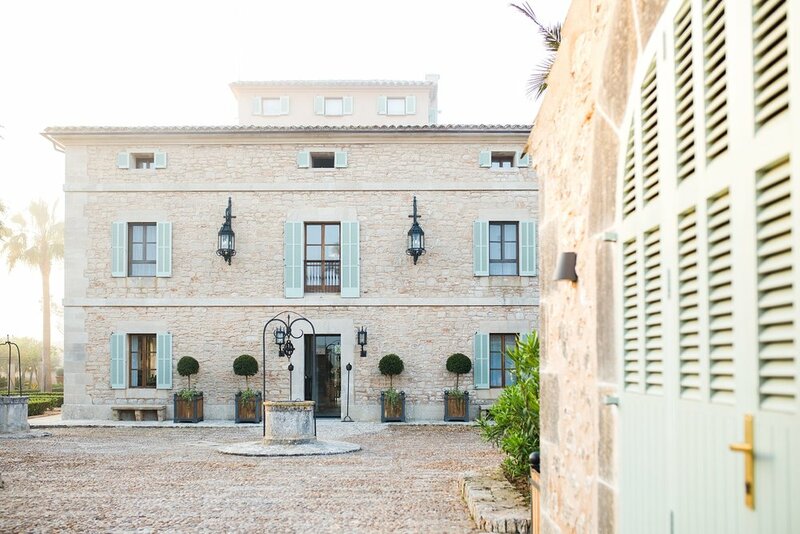 Transfers from the airport Santanyi is around a 40 minute taxi ride from Palma airport. I’ll set up a private Facebook group so that you can discuss lift shares with your fellow classmates. Snacks and smoothies To be honest, you really won't need these. The meals are substantial and will sustain you through but if you fancy treating yourself, it's all healthy and delicious. Spa treatments and the treatments are incredible! 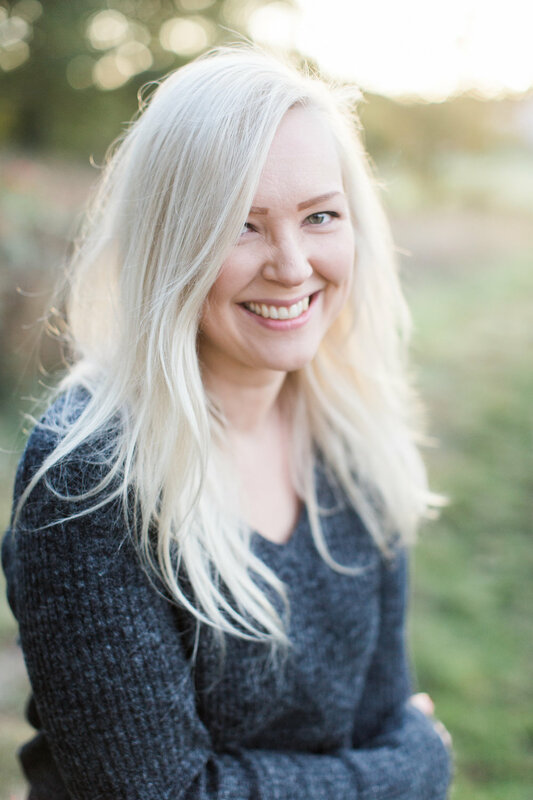 Bestselling author, creative director and brand consultant Fiona, has built a reputation for creating highly inspirational and thoroughly uplifting workshops, retreats and events. She's a highly sought-after brand consultant who brings creativity, clarity and vision to every project she works on. Caz is a highly accomplished designer and the founder of Making Waves Creative, a brand styling and web design agency on the south coast. With a discerning eye, a wealth of experience and patience in spades, Caz will be on hand to provide guidance and support to your design projects. Cecelina is a world-class photographer, artist and chaser of light. She's a highly accomplished teacher and as well as capturing us in all our fabulousness, will be on hand to help those of us who would like, to up our photography game. Cecelina will be running a breakout session and photowalk. 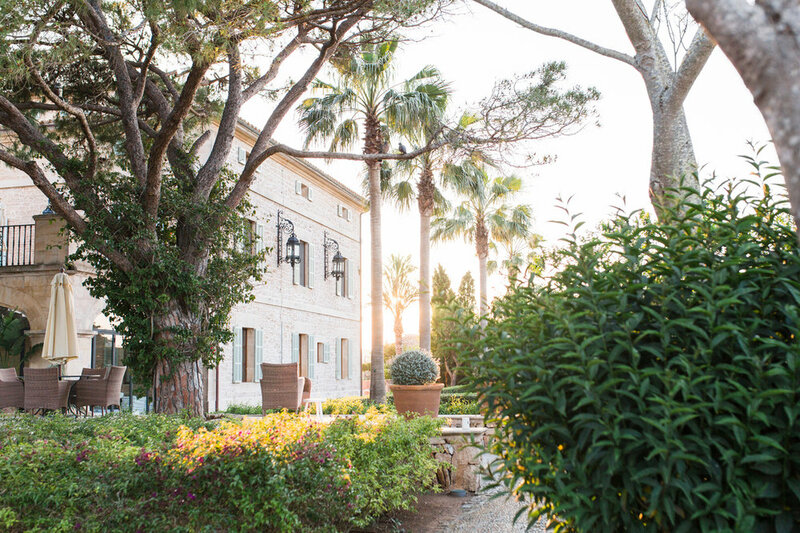 Cal Reiet is a breathtakingly beautiful, laidback-luxe retreat in the village of Santanyi on the south east coast of Majorca. Just fifteen minutes walk from centre, set in an acre of beautifully landscaped grounds and surrounded by fields, the hotel is a real haven of tranquillity. From the moment you enter the gates you know you’ve arrived somewhere special. 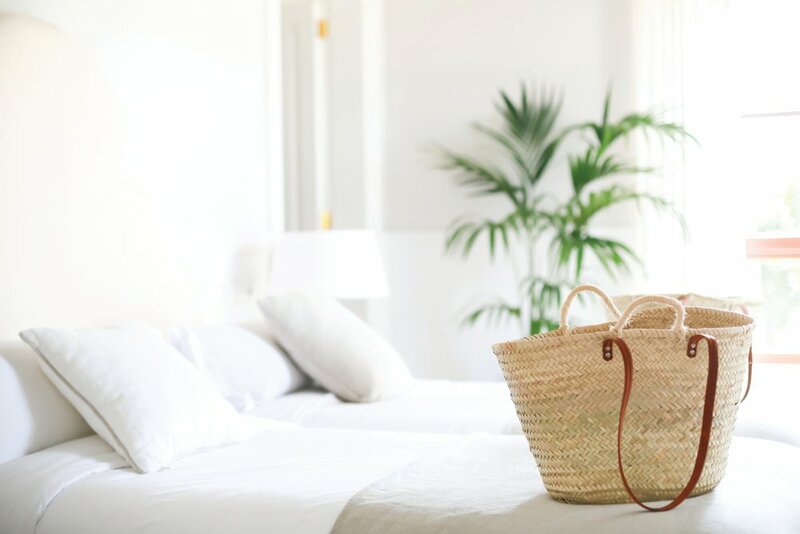 Effortlessly stylish rooms, warm and inviting living spaces and a lush garden will ensure you feel fully rejuvenated as well as having plenty of Instagram fodder. I mean, seriously, just look at those bathrooms! You can choose between a single occupancy room (spaces are limited) or to share a twin room with a fellow classmate. Either way, these rooms are utterly gorgeous. Just eighteen places are available for this inspirational retreat for visionary female entrepreneurs. To secure your place, simply decide whether you'd like to share a twin room with a friend or fellow classmate (we'll match you up if you're travelling solo) or you'll treat yourself to the sanctuary of a single occupancy room. This year’s highly-sought after Retreat sold out within just four hours- what can I say, it’s popular! A couple of slots have now become available and these will be released at 12pm on Monday 4th February. You’ll be able to book online, and once the slots are gone, booking will no longer be available. We do not hold a wait list for this event, but if you’re keen to join, make sure you’re on the mailing list and following via Instagram, which is the first place I’ll announce future opportunities. Your own private space to fully retreat from the world. Rest, rejuvenate and prepare to take your brand to new heights! VAT is applicable to those of you within the EU. Twin-bedded rooms to share with a friend or fellow classmate. If you're travelling solo, we'll match you up. It'll be like a grown-up pyjama party! The retreat is paid for over ten months. As you may know, Squarespace does not (yet) have the facility in place to offer instalment plans so it's beyond essential that you look out for an email from me once you've paid your initial deposit so that you can sign up to nine more instalments. You will need to subscribe to the instalment plan within 5 working days or your place will be released. Go AWOL, sign up with an unmonitored email address or simply get too lax about how you manage your inbox and you will forfeit your place. You must, must, must sign up to the instalment plan within 5 working days for your place to be confirmed or your payment will be refunded and your place will be offered to the waiting list. 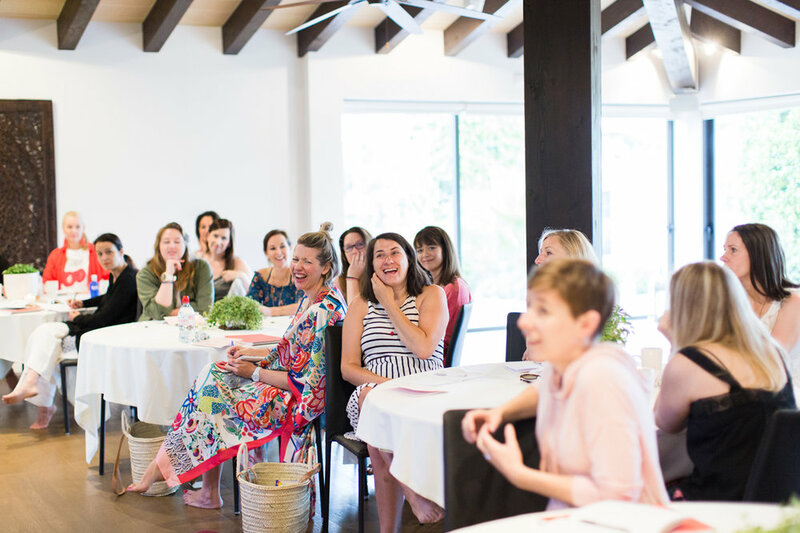 As you know, The Brand Stylist Retreat is a highly sought-after event. It’s important to us that when you book, you’re serious about taking up your place. Because if you’re not, that prevents someone else experiencing the magic, which doesn’t feel very fair. The cancellation policy applies regardless of circumstance so it's essential you understand these terms before you book. Whilst we often keep a waiting list, we will not refund your fee if you are unable to attend: even if we fill the place. We cannot be held liable for situations beyond our control, including (but not limited to) acts of war, acts of God, threats or acts of terrorism, civil unrest or unforeseen personal circumstances. We also can’t offer refunds for illness, flight delays or any other circumstances. Please, please, please make sure you have adequate insurance in place to cover for this. In the event of a teacher cancellation, every effort will be made to deliver the same content by another accomplished teacher. If we need to cancel the retreat, we will refund the money you have paid so far. We cannot be held responsible for other costs – such as flights or any other incidentals and strongly recommend you have insurance in place to cover this. On full workshop days we include breakfast, lunch and dinner as well as filtered water, tea and filter coffee and two glasses of wine with dinner. Should you choose to go all out with a frothy coffee, extra wine or treatments for example, you will settle these separately. The hotel will take a credit card imprint to cover this. All course material, workshop content and marketing literature is protected copyright. What that means in simple terms is that you may not copy it. will we be able to book in time for one to one sessions? No, I'm glad you asked. It's something I've given lots of thought to, but on a practical level, I can't make it work. Instead, Caz and I will be on hand throughout the day to offer support and guidance where you need it. We'll also be running smaller group breakout sessions where we'll be able to work with you more closely. If spending an extensive amount of time one-to-one with me is really important to you, how about booking A Day with The Brand Stylist instead? how many will be on the retreat? Eighteen guests plus the three of us on the team. It'll be a lovely number! I've booked out all of the bedrooms which means that aside from the odd local guests for yoga and those using the restaurant, we'll have the place pretty much to ourselves. if i book a single occupancy room, can i bring a guest with me? they won't participate in the retreat but i'd like to bring them along. No, thanks for asking. There are a couple of reasons for this. Firstly, this is about giving you the time and space to create exceptional work for your business. It's about the connections you make and the moments you share with entrepreneurs who share the same values and ambitions as you. Much of this happens outside of the workshop sessions. By the pool, over dinner and so on, you won't want to miss out on this opportunity. Secondly, it's important to maintain the integrity of the group. I never cease to be amazed at the connections that are made, the friendships are forged and the memories made on the retreat. It's a precious thing. 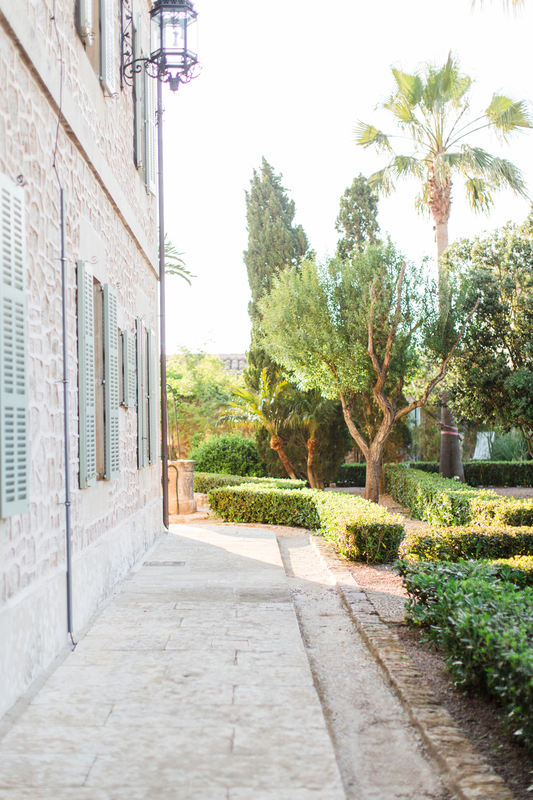 My own family have always flown out to Palma to join me once the retreat is over, which has worked really well, and I know quite a few of this year's guests spent time on the island with their loved ones once the week after so perhaps that would work for you? Yes. All of the Brand Stylist workshops and events are open to both men and women but the retreat has been designed exclusively for women. 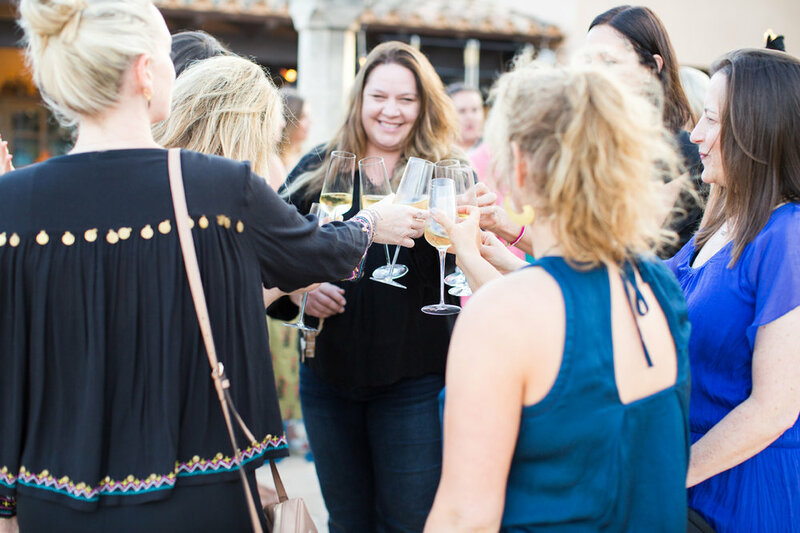 There’s something quite magical that happens when a group of female entrepreneurs get together so we have made the decision to make the retreat for women only. This may change for 2020 so do keep in touch if you’d like to join us. I'm just at the start of my business journey, is this for me? Goodness, it really is very hard to say. It depends on your experience, your vision and you as an entrepreneur. This retreat is designed to give those of you who are serious about making your business a success the time, inspiration and space to create a splash. You'll get out what you put in and the investment reflects the level of value you'll get from the experience. You'll need to be pretty commercially minded I'd suggest. Only you'll know whether you're at that level or not yet. Palma (PMI) on the Spanish Island of Majorca. British Airways, Monarch, EasyJet and many of the low-cost airlines offer regular flights in and out of Palma from many major European cities: Barcelona, London etc so if you’re travelling in from further afield, what a great excuse to make a double trip! 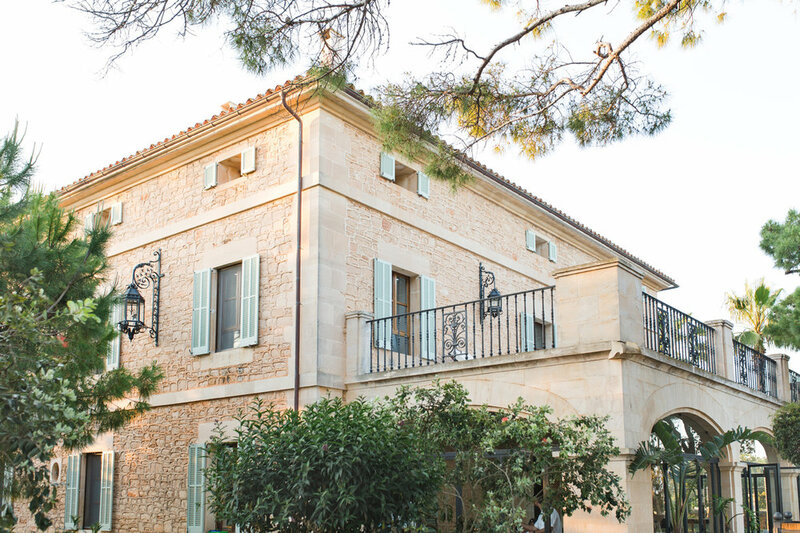 Cal Reiet is located around 40 minutes from Palma airport by taxi. is it possible to attend without staying with you? No, thanks for asking. This is a transformative experience for just 18 guests. 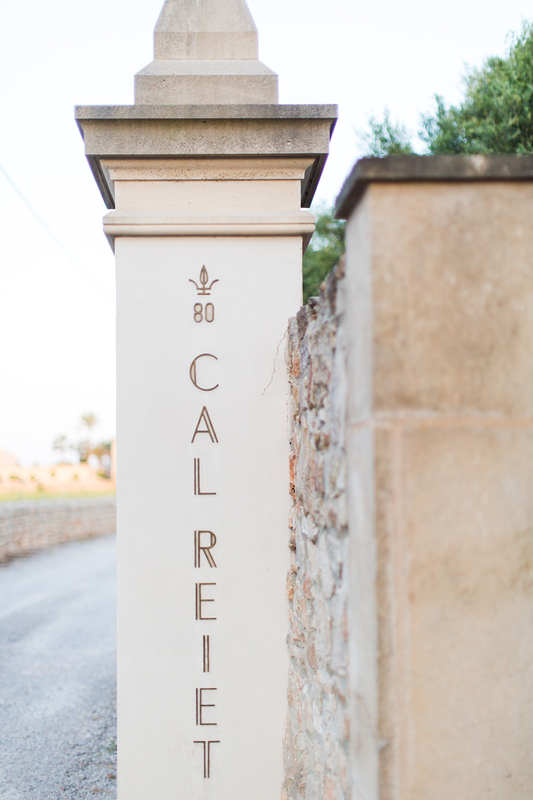 Everyone on the retreat will be staying at Cal Reiet and that's part of the magic. The friendships made, the ideas shared and the clarity gained is a really special thing and it's worth investing in giving yourself the time and headspace you need to get the most out our time together. Will you put on a shuttle from palma airport? I'd love to, but it would be a logistical nightmare! Eighteen fabulous entrepreneurs flying in from around the world at varying times... Cal Reiet is around 45 minutes from Palma airport and should cost between 60 and 75 Euros in a taxi. I'll open a Facebook group in June where you can connect with your fellow retreatees and organise taxi shares if you'd like to. That makes two of us! Photography is a huge part of the experience at all of The Brand Stylist events. It helps us all remember and celebrate everything we've achieved and also share the magic with those who weren't able to make it. Cecelina will be unobtrusively capturing all of the moments throughout the retreat and I'm sure you'll adore what you see. It's worth remembering also that I'd never share an unflattering photo, and neither would she. can i book a photoshoot with cecelina for while we are at cal reiet? No, thanks so much for asking. Cecelina is is with us to shoot for The Brand Stylist and I'm afraid there isn't space in the schedule to arrange individual photoshoots. We do, however, heartily encourage you to bring your camera and enjoy creating your own record of this beautiful space. For those who would like, Cecelina will offer a travel photography breakout session which I know from experience will be incredibly inspirational.